I love all of these, but the second one tugged at my heart. 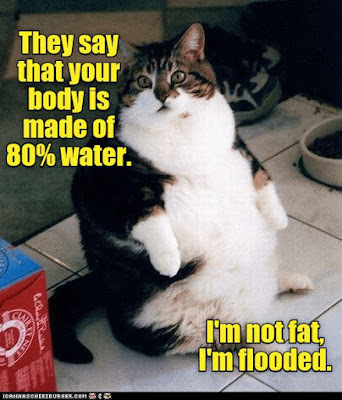 The first one reminds me of Squiggles who I am going to put on a diet today, because he is starting to look "flooded," too! Great picks. Heh. Faux is right there with Squiggles. Glad you enjoyed them, Val. These are great. And the kitteh in the cone is particularly cute. Sadly I am flooded too. Heh. I think we occasionally all feel flooded. Flooded is a good way to go about it. One way for at least one of them to enjoy the cone of shame. That is one very sad owl. We all have flood days, weeks, months....ha. He's a sweet little owl. 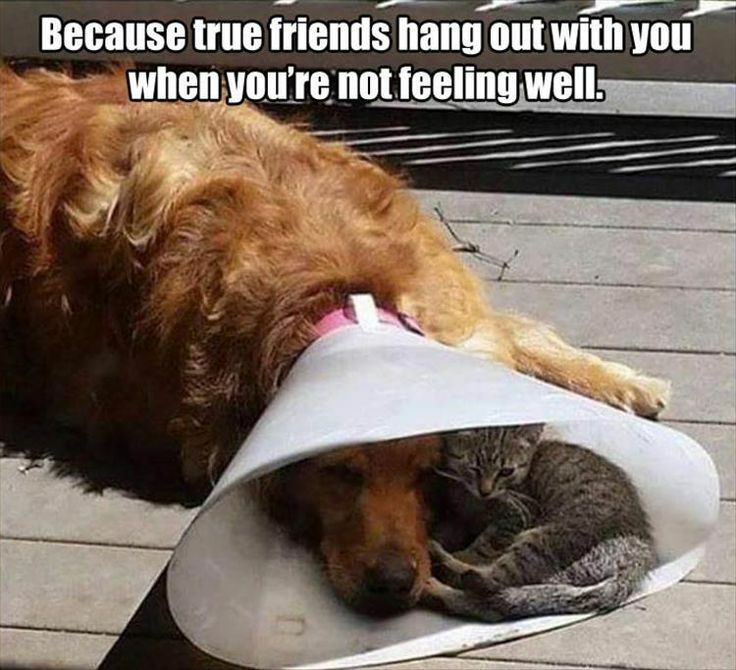 The kitty turned the cone of shame into a cone of comfort. 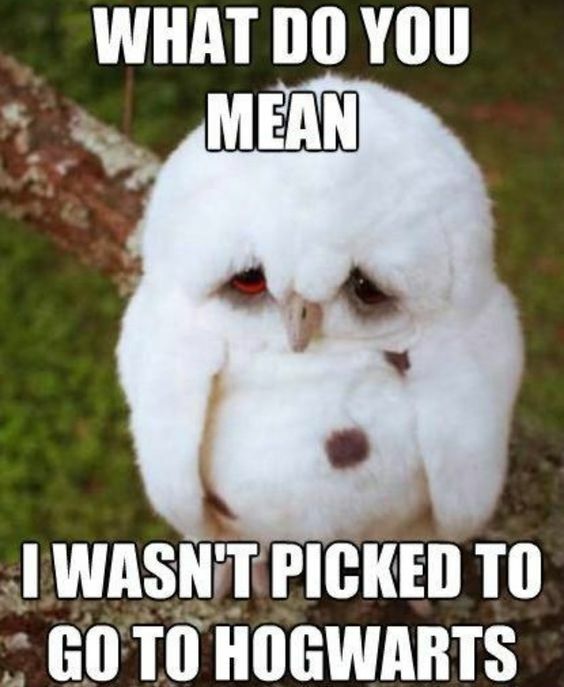 Aww, the poor owl. Glad you liked them, Birgit. Very nice, I am mailing that cat to you. His name is rascal and he is a bad one sometimes.Couldn't keep him outside so gave up and let him in. Loving each and every one!!! So cute! I loved the friends hanging together one! You do find the best things. 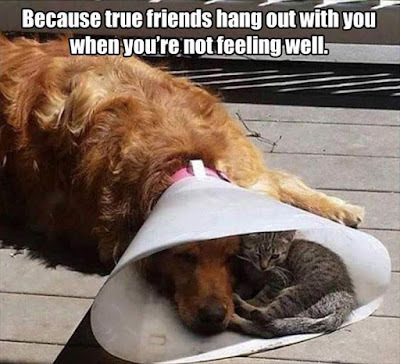 It's nice to know that if you have the collar of shame, you still have a friend. Aw, the owl looks so sad. I think if I got to go to a school like Hogwartz, I wouldn't have looked forward to summer, nor would it have been hard to wake up in the morning. Hogwartz would have definitely been a fun school to go to. That poor little owl!!! Just to let you know, I'm flooded! LOL!